I’m trying not to commit to any resolutions this year because of the inevitable. But there is one thing I owe to myself… new glasses (those I work with know the severity of the situation). Enter Tom Ford’s Spring/Summer 2011 Eyewear campaign featuring Abbey Lee Kershaw. I’ll take a pair of those! Check out the rest of the campaign here. As if revealing his new eyewear campaign wasn’t enough, now we can all view his top-secret return to womenswear featuring, Beyonce and Julianne Moore to name a few, in full. I love that it looks like the best party ever with everyone beautifully dressed. Seems that Tom might be embracing social media now, despite his initial comments on the digital world in US Vogue. As they say, if you can’t beat ’em, join ’em. If you’re anything like me, by now, you’ve seen the Mulberry Alexa, gone to visit it in your nearest Mulberry store or large department store. Written it down on your summer wishlist. Thought that you wanted the large tan version then decided on the black leopard print version and have fingers and toes crossed that Santa or boyfriend will deliver it on Christmas Day. If you are anything like me, you now will have a new dilemma. 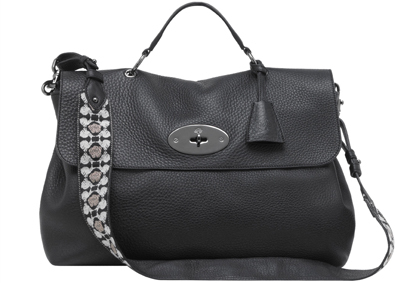 Mulberry have launched their pre-Spring/Summer2011 collection with an addition to the family – Edie. It is inspired by and named after ‘Little Edie’, the star of the Grey Gardens documentary and film of the same name. The Edie is a hybrid of the iconic Bayswater and Alexa styles. This reminds me of the customized Roxanne bag Alexa Chung appeared with a couple of years back, that probably started Mulberry’s love affair with her. Remarkable resemblance, non? They call it the Edie but they really mean the Alexa part 2. Whether its Alexa or Edie, I know one thing for sure and that is, I want it. Sad but true. And we love him too. You’d be hard pushed to find a man that understands the power fashion has to transform better than Tom Ford. 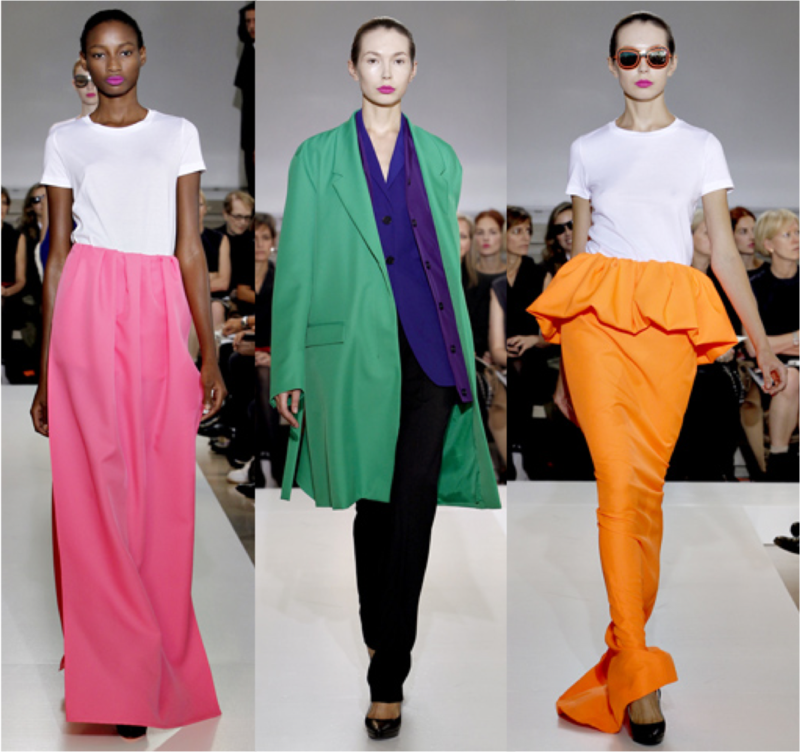 So here it is, his return to womenswear. You can pick your jaw up now. Welcome back Tom! My birthday is fast approaching and I’m thinking a nice piece of statement jewellery would make the perfect pressie (hint hint – Mum and boyf). 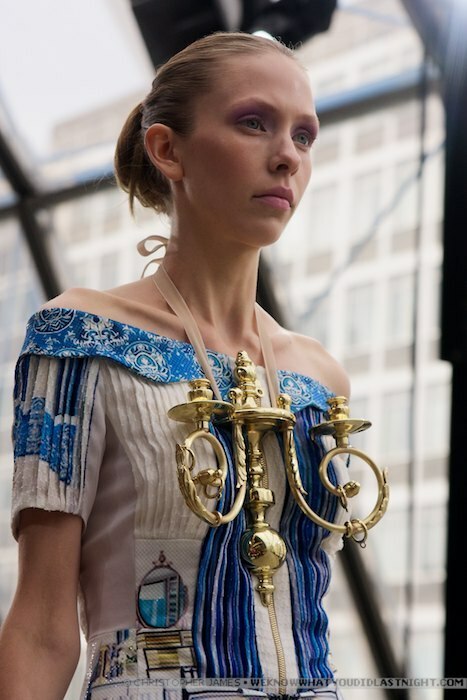 I’m still ploughing through the SS11 shows but these striking statement necklaces from Mary Karanzatou’s show caught my eye – great with her amazing print dresses… or even a plain tee. They do look like table ornaments but I like it. It was so cold in London today, I think the time has come to kiss tight-less legs goodbye. 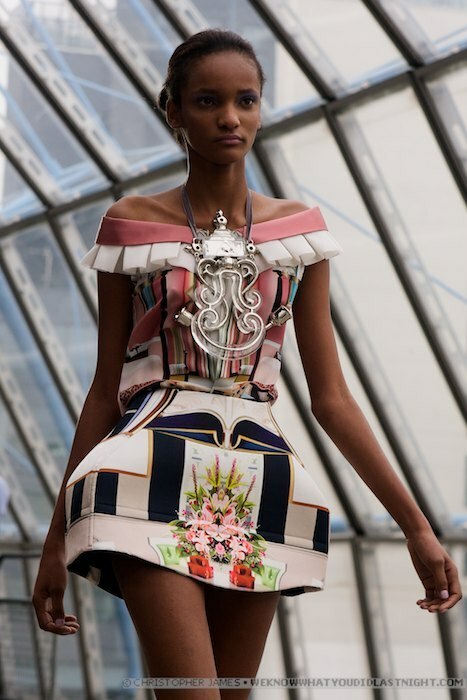 Might as well do it in style – Dolce & Gabbana SS 11 finale via Jak&Jil. Time for capes and camel knits. Colour blocks and amazing details. 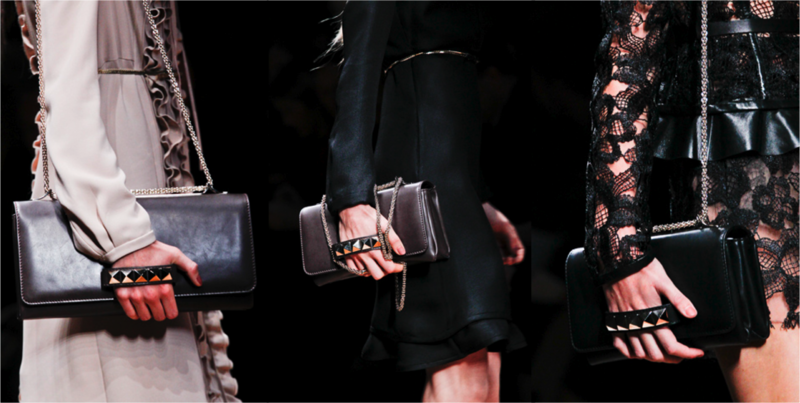 Lanvin rocked.